Bengal Warriors registered their 2nd consecutive victory as they beat Telugu Titans 30-25 in a thrilling encounter of PKL Season 6 on Tuesday. Maninder was in fine raiding form for the Warriors and scored 11 points to lead his teams to victory. It was a disappointing night for Telugu Titans as they squandered many opportunities to win the game. 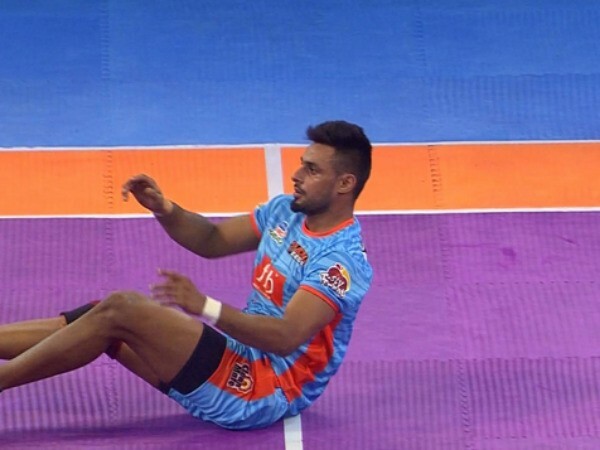 Rahul Chaudhari had a match to forget as he could score just two tackle points and made a costly error in the last minute. Telugu Titans defence scored more points than their raiders in the match. This was Telugu Titans' first defeat of the tournament. Despite the loss, the Titans still remain top of the table in Zone B whereas Warriors climb to the third spot. In a low scoring first half, it was the Telugu Titans defence that stood out the most with Abozar Mighani leading them. The match began with Telugu Titans taking a swift 2-0 lead with Nilesh Salunke scoring a raid point. Bengal Warriors opened their account in the third minute with a tackle point. Jang Kun Lee scored his first raid point as Bengal Warriors led 5-4 in the fifth minute. Both teams traded raid and tackle points in the next couple of minutes as it was 9-9 after 14 minutes.